Just last Tuesday, on 22nd October, Stardom Entertainment’s newest boy group, Topp Dogg, had their first showcase for their debut album Dogg’s Out at V-Hall, one of Hongdae’s bigger hip-hop performance venues. Topp Dogg performing their debut title track, Say It (말로해). Topp Dogg kicked off their showcase with their debut title track, Say It (말로해), mesmerizing those present with their on-point choreography. Topp Dogg’s Kidoh and EvoL’s J-DA! Kidoh – the member in-charge of rap and song production in the group – followed up with his solo track from their debut album, A Woman Like You, where he was joined on stage by EvoL’s rapper, J-DA. It was also heartening to note that in addition to his solo track, he also participated in the writing, composition and production of Playground, which was another track in the album. The members in-charge of dance, Hojoon, B-JOO, Xero and Hansol, took the stage and wow-ed the crowd with their slew of dance performances; from a cover of Michael Jackson’s classic hit, The Way You Make Me Feel, to a song infused with Korean traditional musical instruments, the varied genres performed showcased the quartet’s versatility in dance. Tuning down a notch from the fierce opening, Topp Dogg proceeded with a light-hearted and cheery performance, one that pleasantly surprised the audience, Cute Girl (귀여운 걸). Gohn, Seogoon, Nakta, Jenissi and Yano performing Cigarette! The group’s vocalists, Gohn, Seogoon and Nakta, together with rappers Jenissi and Yano proceeded with their R&B number, Cigarette, which was actually produced by Gohn. This song had no doubt showcased their soothing vocals and strong rap skills. Jenissi showcasing his rap skills! Jenissi also showcased his amazing freestyle rap, which earned him a round of applause. Time to remember some names! Check out Topp Dogg’s great live performances at their showcase and see their charms and talent! 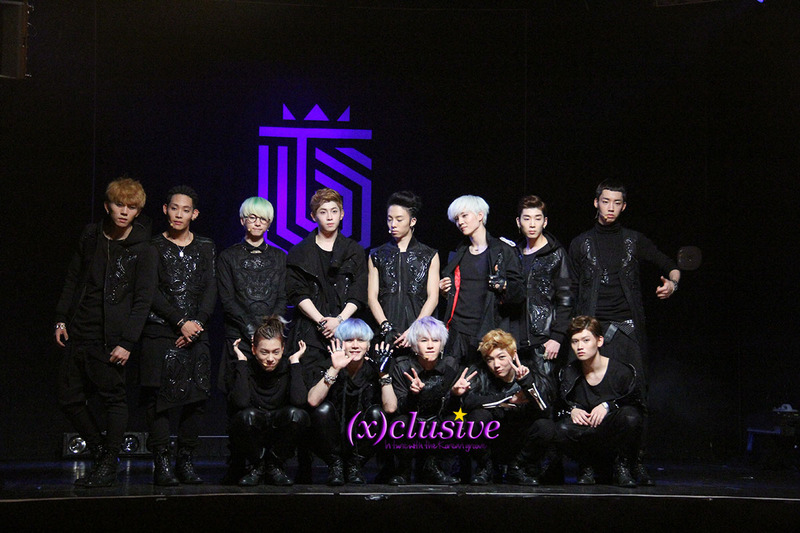 (x)clusive would like to extend our thanks to Stardom Entertainment for inviting us to Topp Dogg’s Debut Showcase. Do show your love and support to Topp Dogg and visit their official Daum Fancafé, Twitter, Facebook and YouTube channel! For more photos, do keep tabs and ‘like’ (x)clusive’s Facebook!